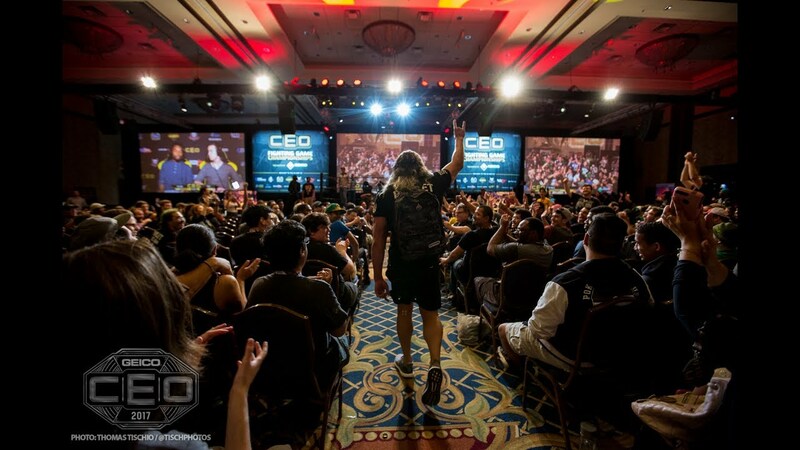 Alex Jebailey of CEO has been mixing esports and wrestling to create the perfect form of entertainment for the fighting game community. 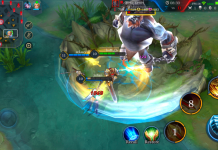 With gaming and competitive play growing more and more each year, it’s hard to know which tournaments to attend and how to maximise your enjoyment. 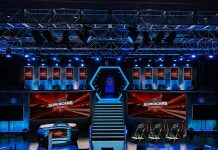 Events have been held at water parks, holiday resorts, casinos and so on, tournament organisers are pushing themselves to the limits to bring aspiring competitors to their events. 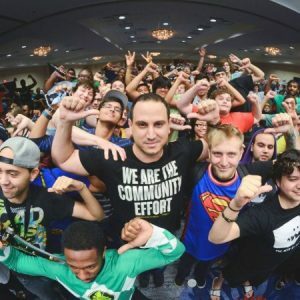 Alex Jebailey, TO for Community Effort Orlando, more commonly known as CEO, has pulled out all the stops and runs one of the most successful FGC tournaments to date. Including a multitude of games, from anime fighters to DDR, Alex Jebailey has also merged the world of gaming with professional wrestling. CEO is a godsend to fighting fanatics, whether it be in the screen or right before your eyes. We talk to Alex to ask what brought the idea to mind and why it has been so successful. Alex Jebailey: I have been gaming since I can remember thanks to my older brothers and sister. It started with the NES/Gameboy etc. and just stuck with me ever since. My father was a big wrestling fan, and we would all watch it together growing up. I’d say gaming and wrestling were my two biggest hobbies and still are to this day. I try to play pretty much everything, but some of the games with the biggest impact were of course Street Fighter, Mortal Kombat, Killer Instinct, Tekken etc. I try to play every single fighting game out even if it’s just for an hour. Super Mario 64, DDR, Metal Gear Solid, Final Fantasy, Gran Turismo were some of my favourite games. As for wrestling growing up, I was a huge fan of The Undertaker, Stone Cold Steve Austin, Shawn Michaels, the Rock and Goldberg. Now that I’ve been on the inside of the industry I’m a fan of anyone that puts their heart and soul, along with their bodies, on the line to entertain the masses: Chris Jericho, Kenny Omega, The entire Elite team, New Day and many more. ESI: Your CEO events are a huge success. When you were growing CEO, what obstacles did you have to pass and what were the goals when you first started creating these events? AJ: First and foremost, learning how to TO (Tournament Organizer) and promote to get people to come out. Before CEO ever existed, I hosted tournaments ever since the early 2000’s at my college through a gaming club, local arcades and more. I went on a bit of a fighting game hiatus in the mid-2000s but once Street Fighter IV came out, my love of the game as a player and bringing people together was renewed. From there I started hosting monthly events aka locals with about 100 or so total entrants. Every event was a learning experience from scheduling, organising, bracketing, promoting and more. I was fortunate to have a great community in all of Florida that came to just about every event I hosted. My early goals were simple to run fun tournaments and compete myself to see how I stacked up. Not many people know this but a lot of the early locals, I would take any money I won from placing and invest in monitors, consoles etc. to keep growing. Once CEO was created in 2010, that’s where I had to learn how to work with big venues such as hotels, the challenges of filling up hotel rooms, AV costs, security and the like. Now my goals are just put on the best experience possible for everyone spending their hard earned money to come and play fighting games. My goals continue to expand every year as I’ve ventured into the wrestling world to get more eyes on the fighting game community. Both communities are similar in a lot of ways, and the crossover has been a really good match. 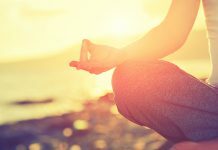 ESI: If you had to make new goals for the CEO and the future of the events, what would you look to achieve in the coming years? 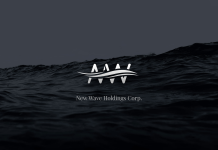 AJ: Right now expanding into other communities has been really good for CEO. Working with New Japan Pro Wrestling last year to put on a live wrestling show was a great learning experience. It also gave opportunities to showcase the FGC’s many talents via commentary, production and more. This year we’re working with All Elite Wrestling, which is a new startup wrestling company but with all the right people. Thanks to my friendship with Kenny Omega, through the love of fighting games, we’ve been able to put together some amazing stuff in the past, and it’s only going to grow. Thanks to my amazing CEO staff and support team, we’ve achieved a great event in terms of tournament running and the most important parts. I think we’ve nailed the basics of running a great fighting game tournament and now I want just to keep trying new things and see what works to provide even better experiences and memories for attendees. 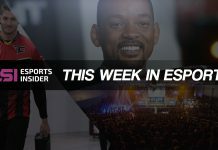 ESI: What made you decide to bring wrestling and esports together? AJ: Since 2012, myself and Richard Thiher (Combo Breaker Organizer), we would always talk about themes and ideas. Once we kinda agreed that trying out a wrestling ring as a stage would be great to try, it grew from there. I had opportunities before to host live wrestling shows at CEO, but it wasn’t until the signing of the Daytona Beach Ocean Center with a giant arena did it really become possible. Now wrestling style themed entrances have become synonymous with CEO’s brand. ESI: Naturally, the merge paid off, and the event is very successful. Do you feel there are any more ways to involve the wrestling aspect into the gaming side? 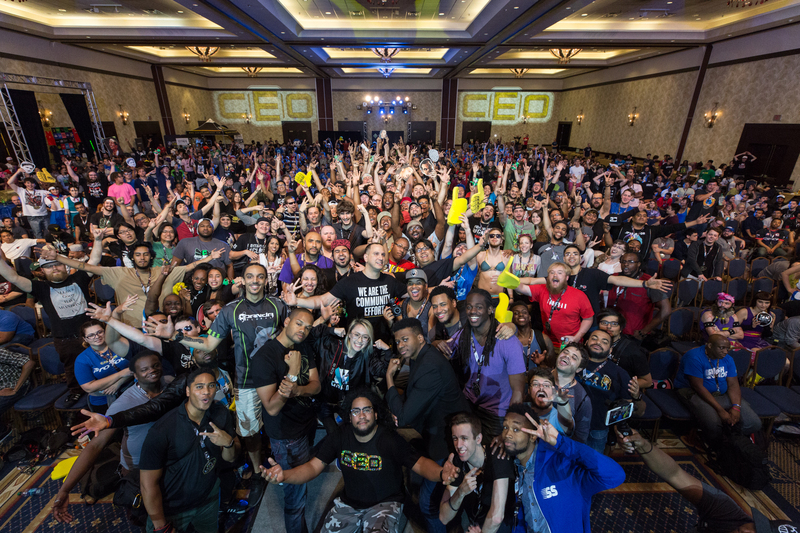 CEO is a fighting game tournament first and foremost. While wrestling conventions are continuing to grow, I will always stick to the mission statement of running a fighting game tournament first and foremost. 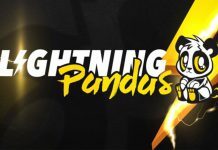 Having the live wrestling show is a bonus event for people to enjoy that also gets new eyes to check out CEO and the fighting game community. In the future, possibly more wrestling coming into the gaming side as already amazingly done by Xavier Woods and Kenny Omega in the past will only get more mainstream eyes on us. ESI: When you pick pro wrestlers to attend your events, what do you look for and why? Is there a particular wrestling company (such as NJPW) that you enjoy at CEO or would you like to expand to other companies in the future? 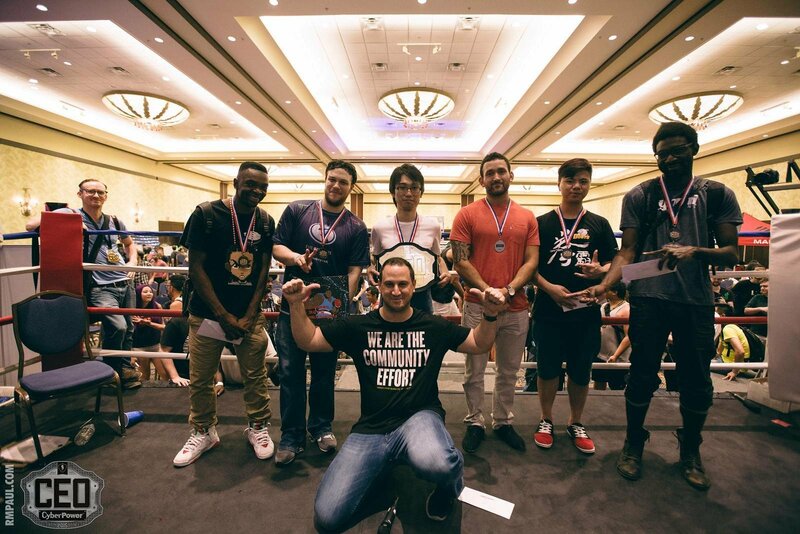 Do you reach out to pro wrestlers who are equally as interested in the gaming side of the event, such known wrestling gamers such as former attendees Kenny Omega and Xavier Woods? AJ: It was never a thing where I wanted just to look and hire wrestlers or a certain company to host an event. It really all came together organically thanks to Kenny Omega. Once I brought up I signed an arena for CEO, the idea just came together, and he reached out to his company who was supportive of the idea. The rest is history. I have a firm belief that working with celebrities that are genuine gaming fans produce the best results. I wouldn’t try and hire anyone as a celebrity guest if it didn’t make sense with the rest of the event. Now with Kenny Omega and the rest of his great team over at All Elite Wrestling, something even bigger is possible working with a fresh company that understands its fans and putting on great shows. I see the AEW partnership hopefully continuing for years to come. They’ve been super great to plan everything out with as they’ll be more involved, helping me plan out the event, take the weight off my shoulders of organising practically everything leading up to the event. I’m really excited to see the final result. ESI: The wrestling ring and the entrance music is a huge signature of the CEO brand. 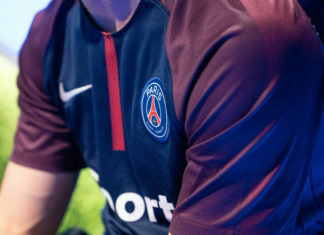 Aside from the visual appeal and fan enjoyment, do you think this helps the players enjoy the ‘fun’ aspect of the tournament more? AJ: I think so. I love seeing tweets of people talking about what their entrance would be if they made the top 8. Daytona will produce some of the best all-around entrances that everyone enjoyed being a part of. Over the years we’ve amassed a ton of amazing photography and seeing genuine smiles in a lot of exhibitions, special events and Top 8 finals have been great. While players are doing their best to win, it’s still nice to see them enjoy being themselves. It’s an environment I strive to provide. Win or lose; I want people to have fun simply. ESI: You’ve had multiple games at CEO and are very inclusive of multiple communities. From DDR to CEOtaku games, the FGC to arcade classics at Jebaileyland, you’ve interacted and watch communities flourish at the highest level. With that in mind, what are your top three favourite moments from your events over the years? AJ: I have a soft spot for DDR. I used to play it obsessively for a few years back in the day. I recently picked up a machine to help me with physical therapy and cardio after my Achilles Heel Surgery. It’s been working, and I really miss those days of dancing on a machine for hours. I always want to try new ideas like a CEOtaku which continues to double in size every year and has influenced even more growth in the Anime Community alongside great events like TSB, ArcRevo, AnimeEvo and more. Seeing other one of a kind events like Climax of Night do well is a great feeling. It’s really hard to pick three moments from CEO as it’s always hard for me to enjoy the event as it’s happening anymore. But before CEO blew up, having Gamer Bee and Tokido attend the 2nd CEO in 2011, alongside Daigo in 2012. It was an amazing feeling back then getting recognised by some of the world’s best. They really helped bring in people to CEO alongside marketing with the Cross Counter Team back in the day. Just handling the Japanese Pro Players in the early years was a great experience. KBRAD’s and Dieminion’s entrances are two of my favourite ever alongside IFC Yipes, who was one of the first to really take advantage of the walkouts then. Being one of the first events ever streamed on Capcom Fighters is memorable for me. Being able to team up and create an officially licensed event shirt will never be forgotten.